After a nice relaxing evening, we had a great sleep and were ready to start our day to explore a new wine region in Chile, the CasaBlanca valley. This valley is quite close to the Pacific Ocean, and was formerly a dairy farming area until about 30 years ago. 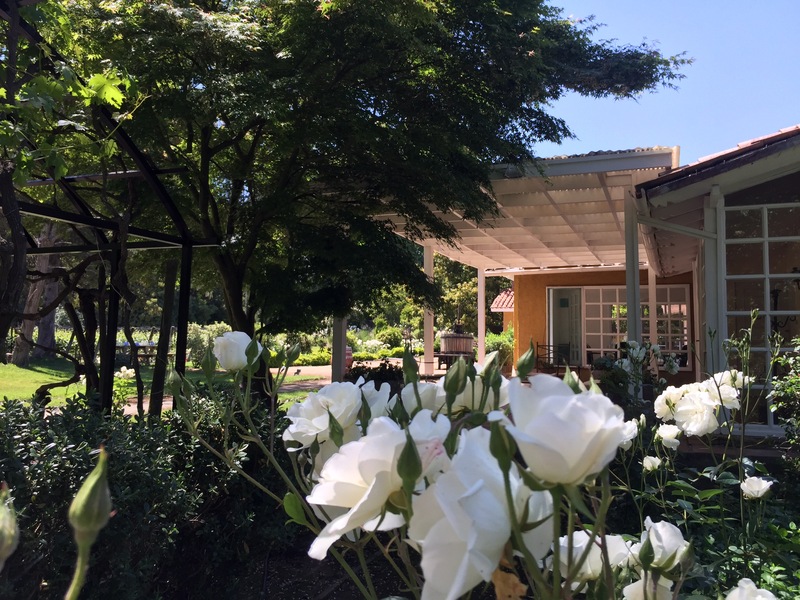 Today we would see two vineyards, plus a gourmet lunch at a former third vineyard. Our tour guide, Anyulin, picked us up at 8:45 am. We went on to pick up just one other couple and then headed out of the Santiago for the valley. Our first stop was at a Vineyard called RE. A very creative aventgarde type of vineyard where they combined superb creativity with ancient techniques to develop some very remarkable wines. Our tour started in the vineyard. Then we saw there production for balsamic vinegar and finally the production for their wines. 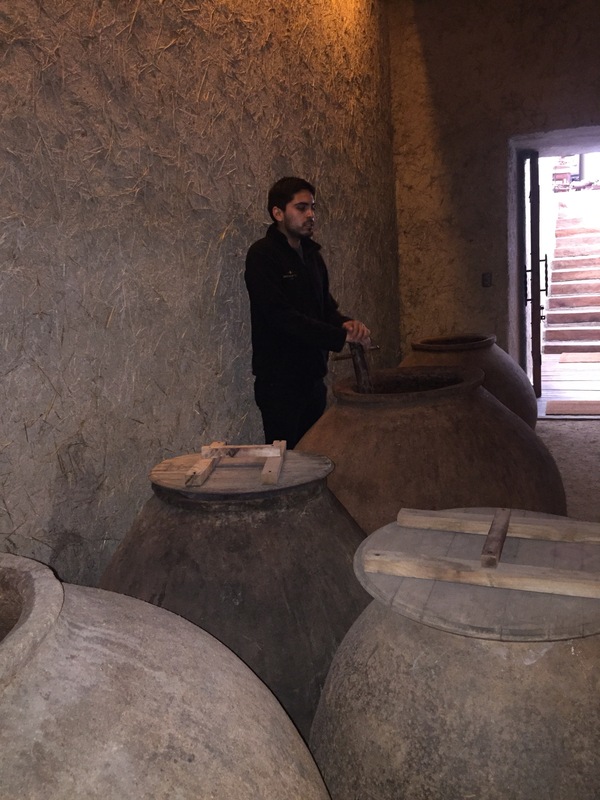 They fermented some of their wines in 200 year old clay crocks, and some of the more popular wines were fermented in concrete / clay vessels that they had specially made. Once fermenting was done, they moved the wine to oak barrels to age. 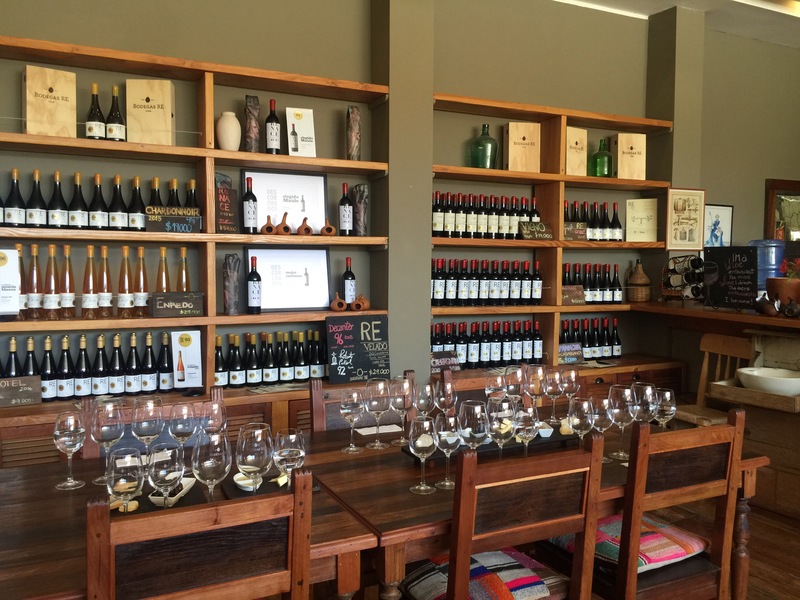 We had great fun trying 4 of their wines in a beautiful wine shop. Unfortunately they are too small a producer to export to Canada! 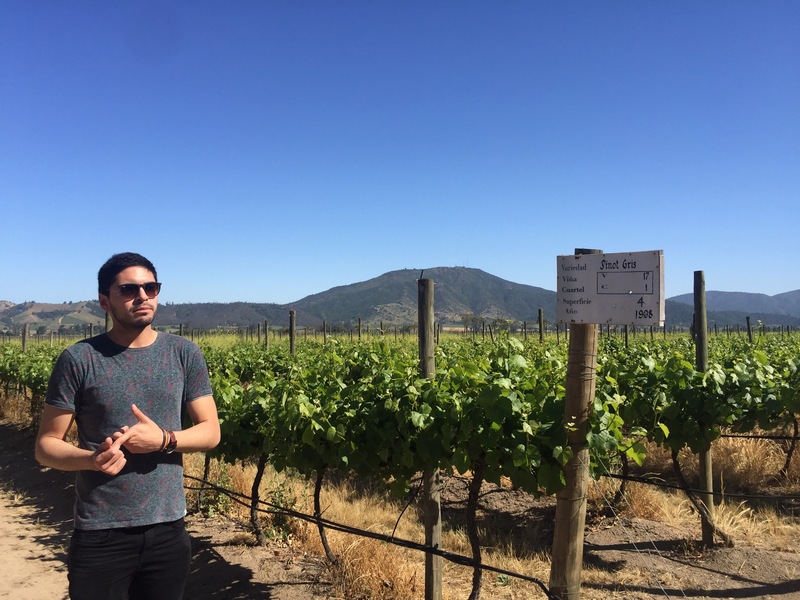 Our next stop was Loma Larga Vineyards. This was slightly larger, yet was still a family run winery with the family still living on the property. 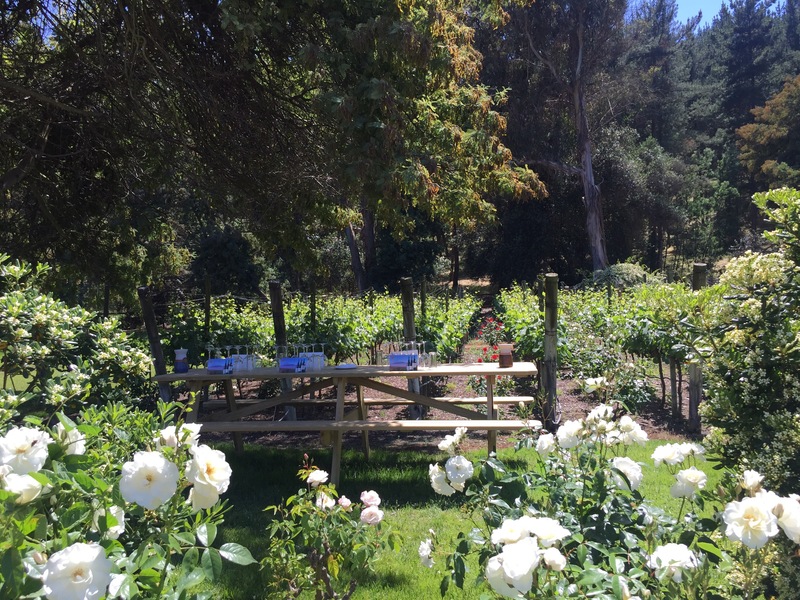 The property was gorgeous, surrounded by fruit and nut trees and many many rose bushes. We even saw the resident silver fox running aorund the property looking for fallen avocados. 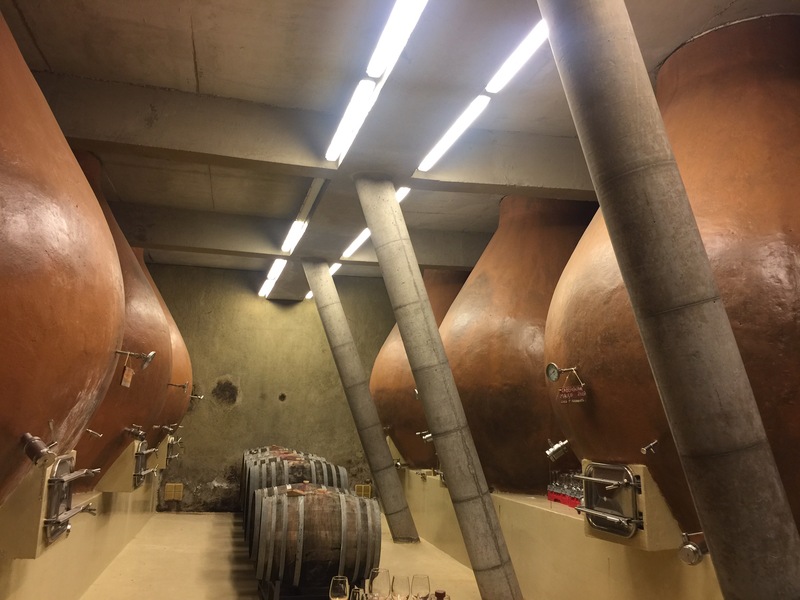 At one point we saw an interesting vineyard curving up a hill, and discovered that this was just a natural cooling roof for their barrel aging room! 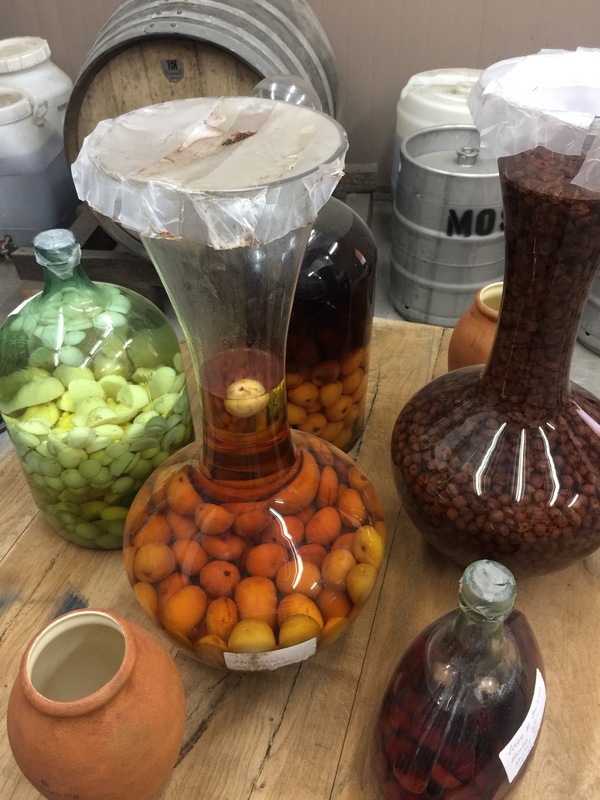 We entered into the fermentation room, which was more modern and closely controlled that at RE. This winery was out to produce some consistent and unique wines for this region, including a couple of reds: Merlot and a Cabernet Franc. We throughly enjoyed the guidance of the resident sommelier, Alejandra, as well as the lovely outdoor wine tasting in the garden! Finally, we were off to lunch at “House”. 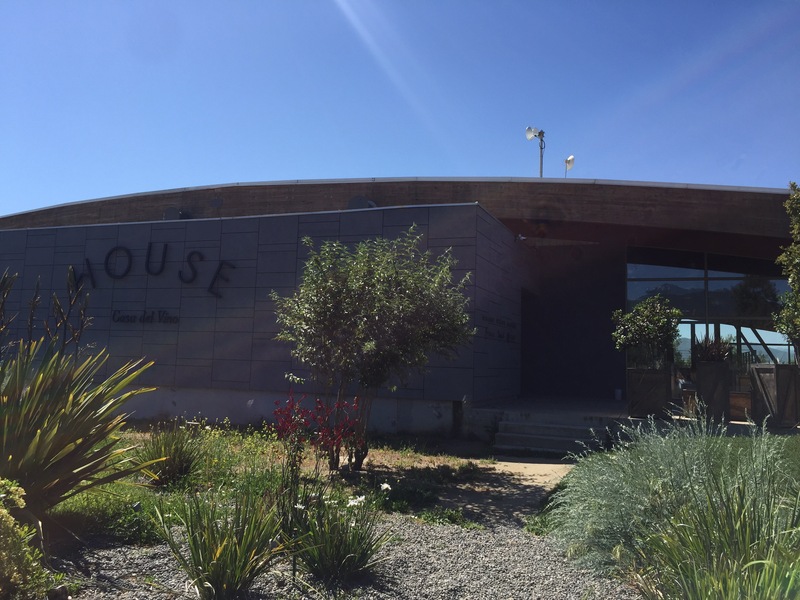 This former winery is now set up as a gourmet restaurant and retail outlet. They do produce some very lovely sparkling wines in the old traditional way. After a late lunch, it was time for us to get back into the van and head to Santiago. Dan and I arrived about 45 minutes before we need to meet with our guide for our Patagonia trip at 6 pm. 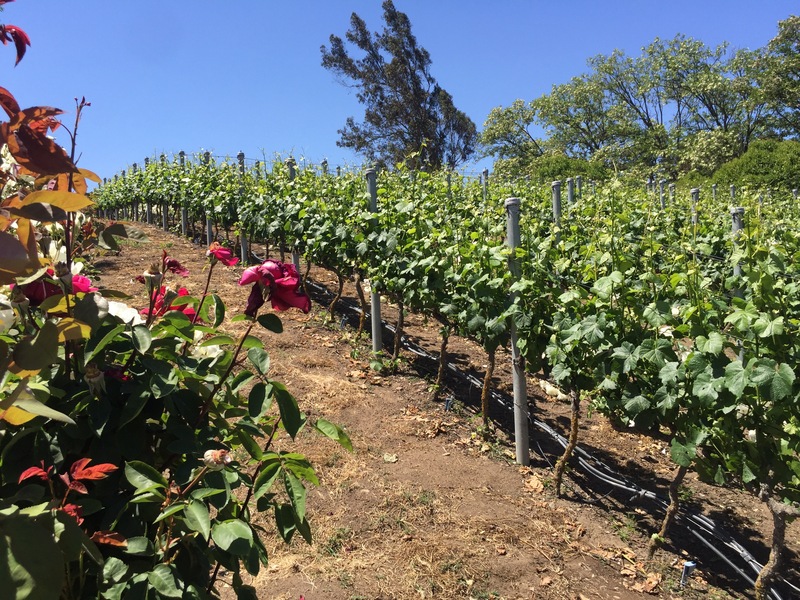 This day trip was by “Uncorked Tours” and was absolutely worth every penny! I would highly recommend this if you have a day in Santiago! We met with our guide and the rest of the group at 6 pm, and got the low down on our next trip. Tomorrow we leave the hotel at 6:30 am for about 5 hours flying to Punta Arenas, and then take a bus to Puerto Natales where we will stay in a hotle one night before heading to our camp. Again, with 4 nights camping, I know I won’t be able to post daily, but will post once we have gotten wither to El Calafante in Argentina, or from Buenos Aires when we arrive there on the 21st. Out of our group of 12 people, we have 1 New Zealander, 1 Australian, 3 Americans, 1 Brit, 1 Swiss and 5 Canadians. A fun group for sure! 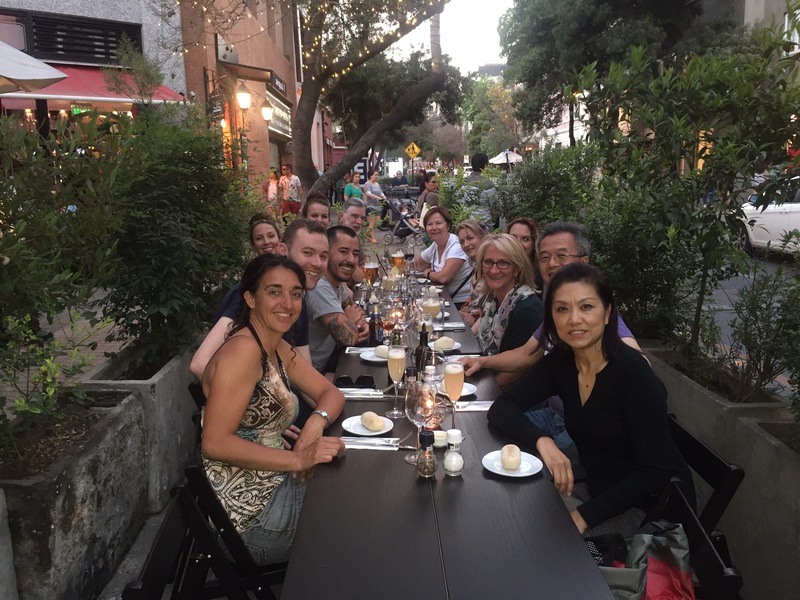 We had a lovely meal in Santiago together which gave us all a chance to start getting to know one another. I think it’s going to be a great trip! Well wake up will come early tomorrow, so time to say goodnight! Will try to write again tomorrow before we head to the campsite the following day! More great pics. Interesting to me how many differing vessels used by different vineyards in production of wines. These in your photos are different than any I have seen anywhere !! They were a first for me as well!! 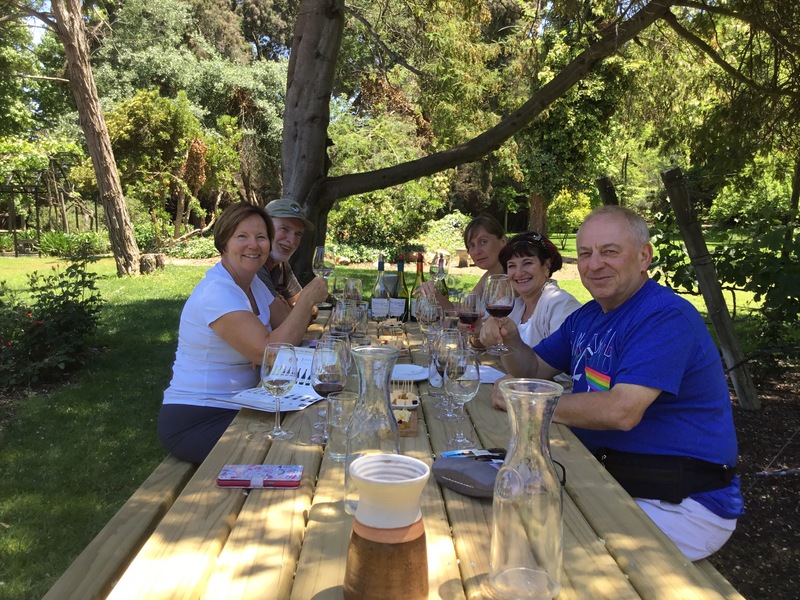 This was a side trip that we took with “Uncorked”…an excellent side trip… will see if we can get a wine sampling with them in Buenos Aires!